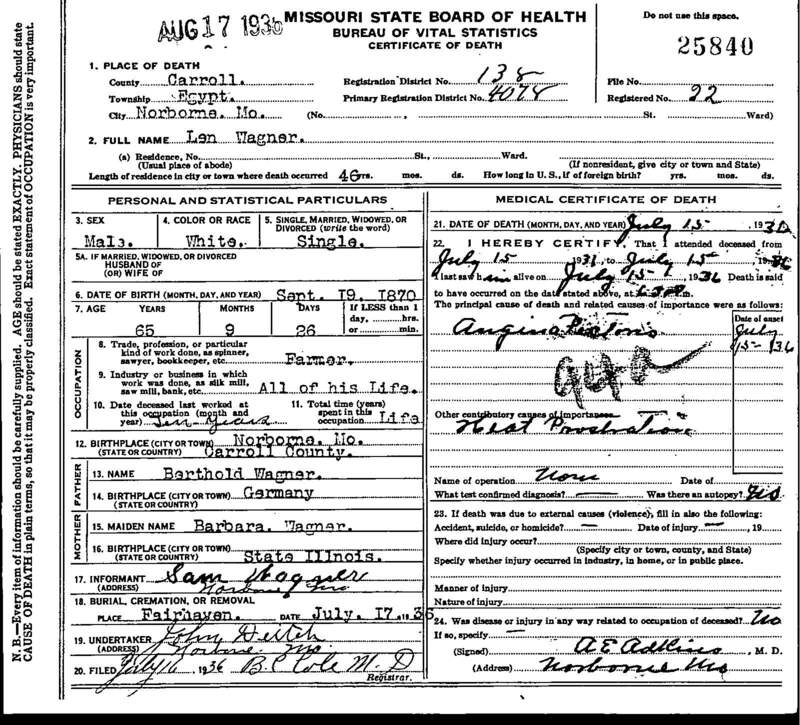 "Death Record - Leonard "Len" Wagner"
Birth location: Wagner family home, north of Norborne, Carroll County, Missouri. Cause of death: Angina __?__, Heat __?__. Death location: At the home of his sister Mrs. Elizabeth Wolf near Norborne, Carroll County, Missouri. Burial location: Fairhaven Cemetery, Norborne, Carroll County, Missouri.